A lot of doom-merchants were selling the apartment crash in Brisbane. Looks like it’s not happening. Brisbane is actually headed for a shortage of apartments. I know, right? That sounds crazy. I’m flying in the face of conventional wisdom here. The rule of thumb is that Brisbane, like most capitals, got a little too high on the whizz-fizz, and started building high-rise apartments like it was going out of fashion. I’ve actually had a pretty nervous eye on this sector myself, and have been warning investors to really tread carefully in this segment. But while things did seem glutty for a while, and vacancies were rising and rents were falling, that over-supply was short-lived, and the market is now racing back towards shortage. That’s what research analyst Michael Matusik estimates in a recent market report. He’s got a strong track record and talks a lot of sense. He’s worth listening to. 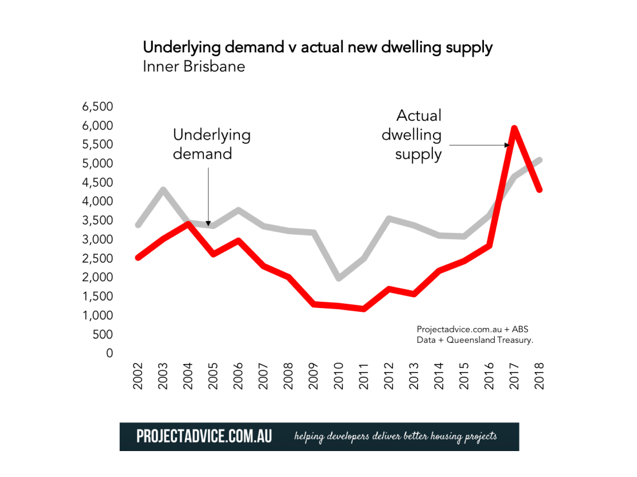 Our research has found that inner Brisbane is now struggling to keep up with the underlying demand. That isn’t a typo. I repeat it is heading for an undersupply. … Let’s look at the demand side of the equation. The official population forecasts for the inner Brisbane area are way below recent trends. We estimate, based on the last decade, that there is a need to build 6,000 new dwellings each year across inner Brisbane. Nearly all of these new dwellings will be apartments. This forecast applies for the next ten years. But we think the need will be greater, especially now that Brisbane City Council has effectively said NO to infill suburban development. As Matusik notes, a lot of the doom and gloom predictions for Brisbane were based on the amount of stock coming on line. But with banks throwing development funding into reverse, a lot of that stock is now just not going to happen. And without it, there’s just no over-supply. On the supply side, there are 185 new major apartment projects proposed across inner Brisbane, totalling around some 48,250 apartments. However only 30% of this stockpile is under construction and an additional 17% or about 8,000 apartments are probable over the next two to three years. Over half of the currently proposed inner Brisbane apartment stock is unlikely to commence anytime soon. Further good news is that inner Brisbane’s available apartment rental supply is now falling. This contraction has been quite sharp. Many of Queensland’s recent interstate migrants from Sydney are young couples trying to make a new start in Brisbane. They are mostly renting new inner city apartments. 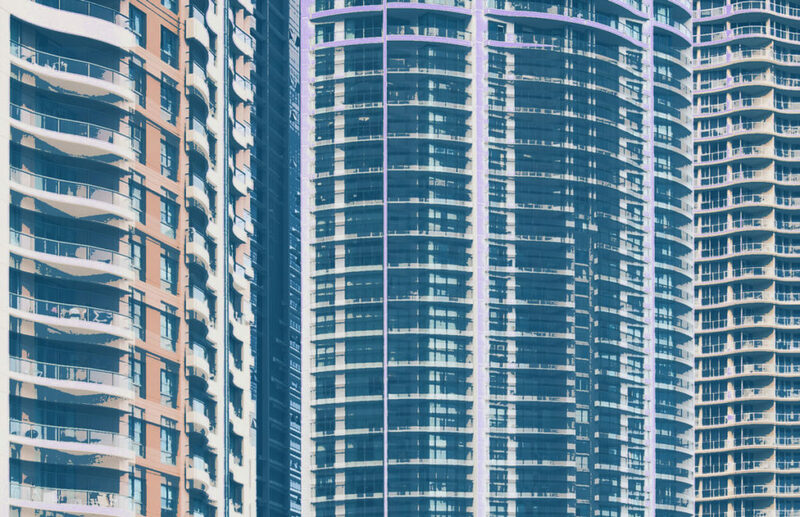 …Prices are now rising for larger apartment stock. A similar trend can be seen when it comes to weekly rents. So, it seems, Brisbane has dodged a bullet. Sydney and Melbourne are perhaps not going to be quite so lucky. The sun shines on Queensland again. With Queensland overall typically getting a boost from a falling Aussie dollar, it really does look like Brisbane could be the pick of the Aussie capitals for now, across the market and even in the high-rise unit sector. Revealed: Is the ATO coming after you?